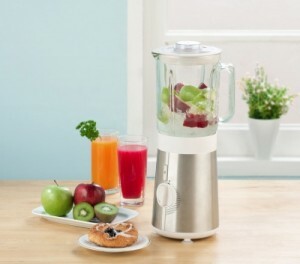 Buying the best blender that fits your budget. If you are looking to buy a new blender, mixer, mixie or grinder and are finding it difficult to decide on the right device, let us provide you with some tips to keep in mind before you head out to the store. Hand held blenders: These are thin stick like instruments that you immerse in the food or fluid that you would like to mix or puree. 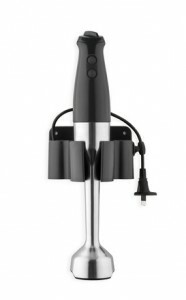 They are very convenient when performing small tasks like chopping, pureeing some boiled vegetables, mixing smoothies etc. Grinders/ Mixers: These devices can vary widely in power/ wattage and be used for heavy duty tasks like making Idli batter, grinding coffee beans to a fine powder etc in addition to chopping, making chutneys, blending smoothies, crushing ice etc. Wattage: Denotes the power of the motor of the appliance. Sometimes you will need a mixer grinder with a higher wattage to perform heavy duty tasks like making Idli batter or dough. But bear in mind that a higher wattage does not always result in better overall performance. That depends on the make and quality of the specific machine itself. In a few cases, some of the lower wattage (and cheaper) grinders that we have reviewed get the job done better than some of the more expensive higher wattage ones. Ease of use: While considering usability of grinders and blenders, one should look at a bunch of things – how easy it is to assemble the blade and associated parts, how seamlessly the jar fits on grinder base, how smoothly the lid fits on the jar, presence of useful measurement markings on the jar, the efficiency of the controls as well as the pulse settings, the size of the jar and how it corresponds to your particular needs. Cleanliness and day to day maintenance: Cleanliness is an important consideration as mixers and grinders have become equipped with greater features like fancy controls and different kinds of blades. Grinders that require pushing various buttons to operate may be more difficult to clean as opposed to a touch pad. Attention must also be paid to how tightly the lid fits into the jar to ensure that the grinder is not prone to leaks and spills. For the same reason, it is also a good idea to understand how securely the jar fits with the grinder base. Price: The price on most mixer grinders or blenders varies by brand, wattage, features and material used. Generally higher wattage could mean higher prices. Grinders with glass or stainless steel jars could be more expensive as compared to ones with plastic jars because they are more durable.